It’s a big-figure box office this weekend, with The Hobbit: An Unexpected Journey cracking the $600 million mark globally — $31.5 million this weekend alone, making it the top earner domestically — while Skyfall is now officially a billion-dollar James Bond blockbuster. 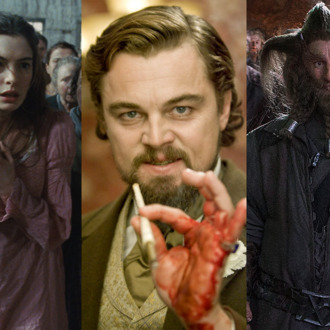 As for the weekend’s two openers, R-rated Django Unchained made $31 million, giving The Hobbit a run for its money and handily outstripping the buzz around Les Miz, which debuted to $27.4 million. Further down, in the specialty category, Kathryn Bigelow’s Zero Dark Thirty continues to play strong in just five theaters, pulling in $325,000 since Friday.